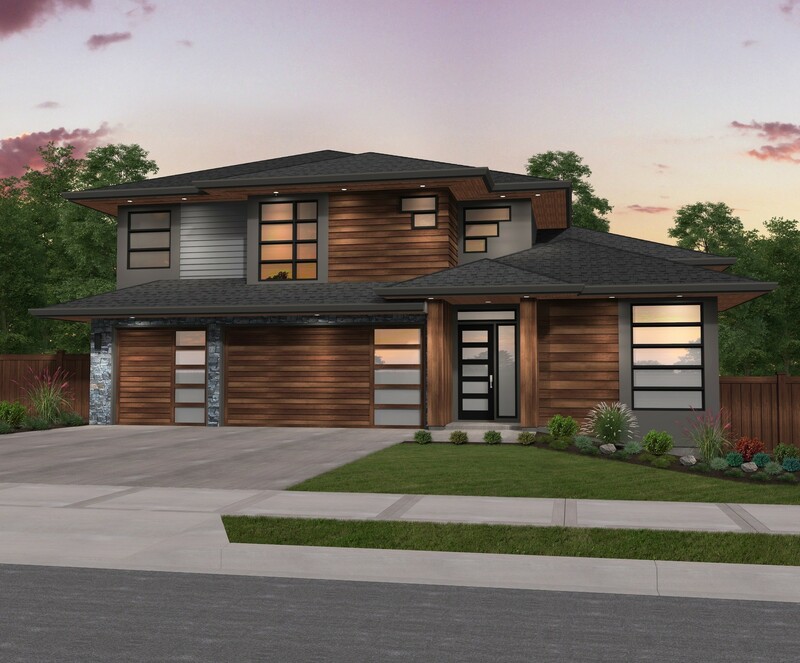 Organic and striking Northwest Modern Home Design greets you on the street! 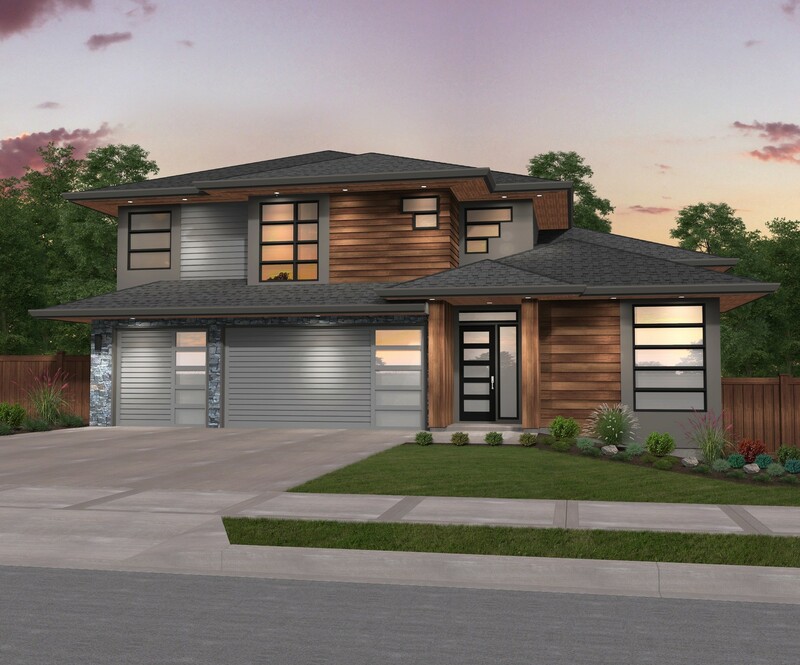 This prairie style house plan features a two story foyer, study, vaulted dining room, great room with 10′ ceilings and an open kitchen with impressive center island. The impressive covered outdoor living space can be accessed from both the kitchen and the great room. 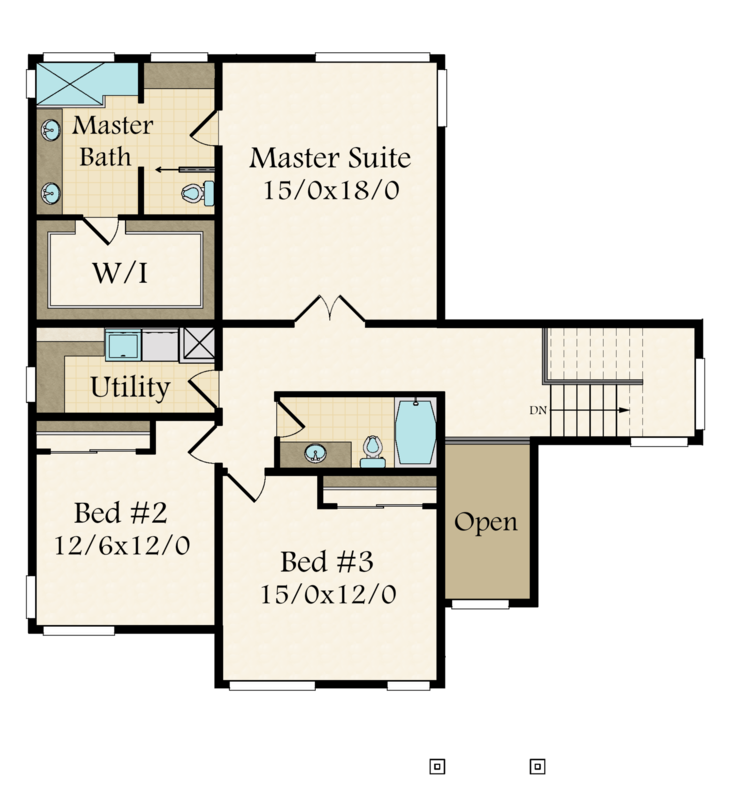 Upstairs is the private, chic master suite, which comes with an option for an alternate bathroom layout. 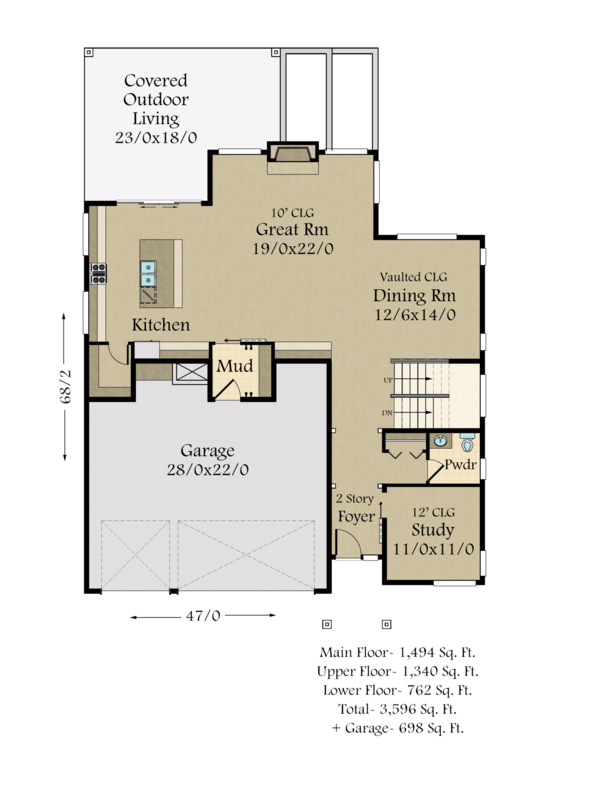 Also upstairs is the utility room, and two spacious bedrooms each with front facing views. 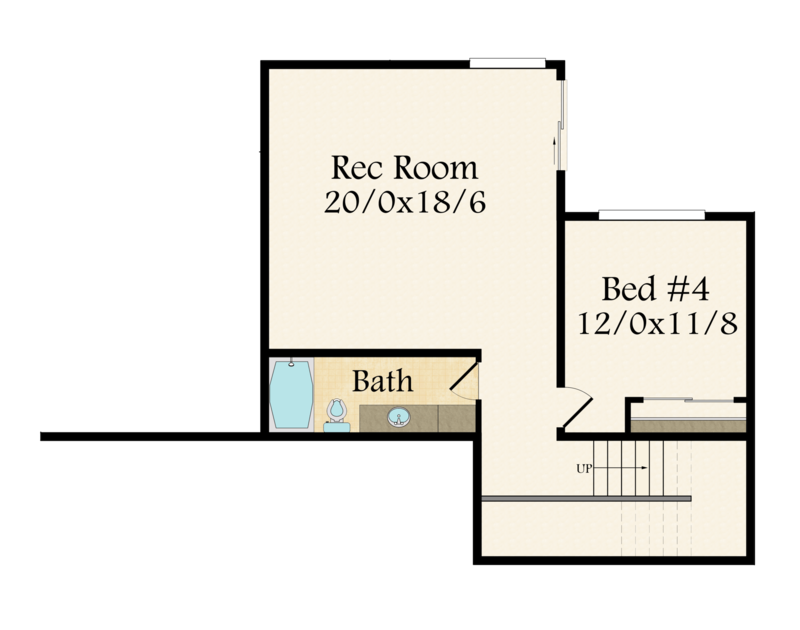 Downstairs you will find the fourth bedroom along with a bathroom and large rec. room, perfect for a teenager, family game night or house guests. This charming Northwest Modern Home Design offers an elegant and efficient floor plan with exterior clean lines and curb appeal, making this a favorite among builder’s and home owners.